FOMC Minutes chatter – What to expect? Scotiabank: USD Dips Into FOMC Minutes A Buy. Focus for the session ahead will fall on the FOMC minutes of the December 14th rate hike meeting….Fundamentally, nothing has changed – the US economy remains in good shape and expectations for the Trump bump to growth (and the USD) remain intact. Spreads – a key source of support for the USD rally since November – are stable against the major currencies. We continue to think that minor USD dips are a buy. Credit Agricole: A Reverse Of A Pattern. We expect the FOMC minutes to express a more cautious view on the rate outlook than was indicated by the market’s initial reaction to the FOMC announcement. US rates and the USD reacted strongly to the upward revision of the 2017 median FOMC dot, but as our economists point out the mean dot has moved very little and Chair Yellen was careful to downplay the extent of the change in Fed policy outlook during her press-conference. Up until the December meeting, FOMC minutes have tended to partly reverse the USD weakness in reaction to the FOMC meetings. We suspect this pattern could be reversed this time, with the USD rallying after the meeting but vulnerable to weakness on the release of the minutes. From a broader perspective, the USD has surprisingly failed to take advantage of strong US data this week. This could be partly explained by less liquid markets at the start of the year, with FX traders caught too long the USD on Tuesday. However we also see this as a broader message for 2017: the USD uptrend is still your friend but investors will need to be more selective about positioning. Markets have been increasingly focusing on president-elect’s personnel appointments, protectionist rhetoric vis-à-vis China and pressure on US companies to avoid sending job overseas. Against this backdrop we believe the USD is likely to do best against emerging Asian currencies and G10 commodity exporters as the risk environment turns more uncertain. RBC: Little In Minutes To Derail The USD Rally. BofA Merrill: 3 Things To Look For At December FOMC Minutes. 1- The minutes from the December 14th FOMC meeting are likely to reveal modest optimism about the improvement in the recent data but a “cloud of uncertainty” about how fiscal policy could change the trajectory. While it seems likely that there will be some form of fiscal stimulus, the details are not yet apparent which makes it difficult to gauge the risks to the forecast. We therefore think the minutes will show that there was a conversation about the possible scenarios without committing to the outcome. We also think that Fed officials likely discussed the health of the labor market with a particular emphasis on measuring slack in the labor market given the drop in the unemployment rate to 4.6%. The labor force participation rate has edged higher this year, but in a very choppy fashion making it hard to decipher the trend. Moreover, the improvement in wages has been uneven, further complicating whether we have returned to full employment.2- Inflation will also be in focus. The statement noted that although market measures of inflation compensation have moved up considerably, they remain low. And meanwhile survey-based measures remained little changed. Seemingly the Fed is not concerned about a rise in inflation expectations that could bias inflation higher. We think there will likely be a bit of a debate over the risks to inflation.3- We will also look out for any conversation about risk management. Interestingly, Fed Chair Yellen did not talk about the asymmetry when policy is close to the effective lower bound. 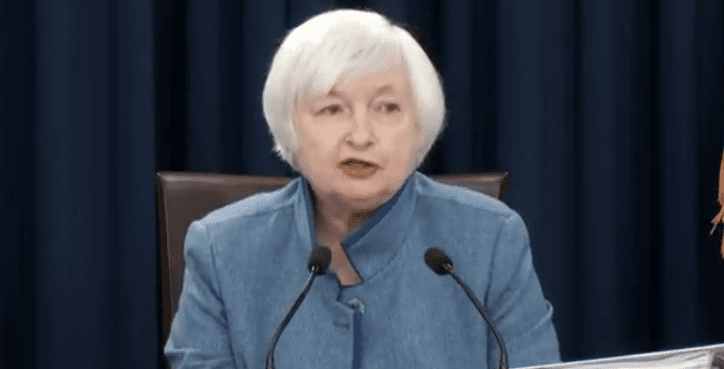 When asked about allowing the “economy to run hot” she said that it was not the Fed’s intention to be behind the curve with policy. This was perceived to be a hawkish signal by the markets. It will be interesting to see the discussion among Fed officials about the risks. Goldman: The Rationale Behind The Hawkish Shift In The Dot Plot. We receive the December FOMC Minutes on Wednesday, which we will be watching for discussion of potential policy changes under the new administration, as well as the rationale behind the hawkish shift in the “dot plot”. UBS: The Rationale Behind The Evolution Of The Dot Plot. The December meeting minutes may reveal more colour on the rationale behind the evolution of the dot plot and the lack of a shift in economic forecasts. Our economists believe the latter is perhaps due to Fed officials taking a “wait and see” attitude regarding the impact of potential fiscal and other government policy changes. We maintain our view that the Fed will tighten via two rate hikes in 2017. Barclays: Clarity On Impcat Of Potential Policy Changes On Outlook. We believed coming into the meeting that members would be reluctant to incorporate policy changes post election. However, despite saying that it is “far too early” to judge the effects of fiscal policy, Chair Yellen noted that “a few” members incorporated policy changes into their forecast. These adjustments did not change the range of member forecasts and we look to the minutes for clarity on how potential policy changes may have influenced the outlook. In addition, we look to the discussion to judge whether the FOMC sees fiscal stimulus as likely to substantively boost potential output. Yellen took a dim view on this possibility and hence is likely to advocate faster rate hikes in response to a large increase in spending. BTMU: FOMC Minutes To Reveal A Greater Degree Of Caution. With monetary policy divergence likely to be a key driver of dollar movement in the early part of this year, the FOMC minutes from the meeting in December to be released today may prove important.Given the Fed obviously raised rates and also upped the DOTS profile for this year from two hikes to three hikes, the details of the minutes may prove important for the markets. Yellen has already told us that some of the FOMC altered their end-2017 fed funds estimate based on expectations of fiscal expansion under President-elect Trump even though we don’t know what that might amount to. So it might not take much for the median to drop back again.Hence, what is more important to us in reading tonight’s minutes will be any changes to the assessment of the economy that are beyond Trump’s fiscal influence. That would be more meaningful and suggest resilience in the Fed’s thinking on a faster pace of tightening even if Trump was to disappoint on the fiscal side. It is also worth remembering that the voting FOMC members have changed and hence the DOTS might not reflect the more dovish voting in 2017 relative to 2016. Out go Fed Presidents George, Mester, Bullard and Rosengren and in come Evans, Harker, Kaplan and Kashkari. Three of those four 2016 Presidents (all but Bullard) voted to hike last September and hence the incoming 2017 Presidents are likely to have a more dovish leaning than last year’s. The median DOTS message needs to be viewed in the context of not knowing which DOTS belong to which Presidents. Our hunch is that the minutes might reveal a greater degree of caution over the outlook for the economy than one might expect given the DOTS increase for this year. Danske: Insights On Outlook for 2017. The FOMC minutes from the December meeting are due to be published tonight. It will be interesting to see what discussions the members had about the outlook for 2017, as the Fed was more hawkish than expected. Lloyds: Insights On The Increase In The Dot Plot. The main focus is likely to be on the FOMC minutes. After raising rates by 25bps, the market will be looking for further insight into why the “dot plot” expectations increased from two more hikes next year to three, despite their economic forecasts not changing much. Further scrutiny will be on whether President elect Trump’s fiscal policy was discussed.